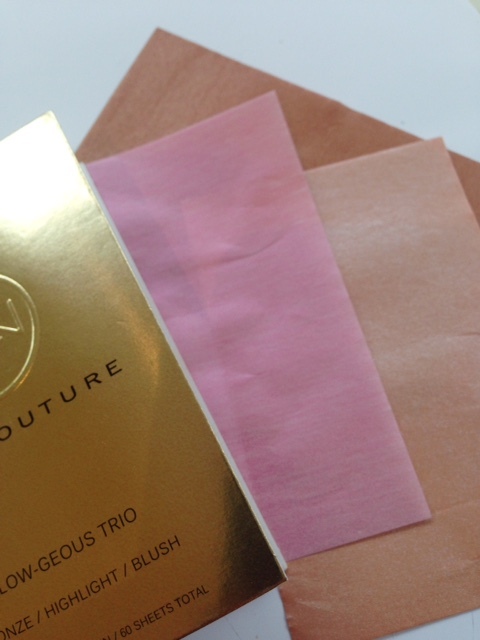 The Mai Couture Glow-Geous Trio paper sheet pack is one of those novelties that actually does what it says it will, despite the fact it seems unlikely. Inside the gold pack are 60 sheets of paper split into three variants – bronze, highlight and blush. 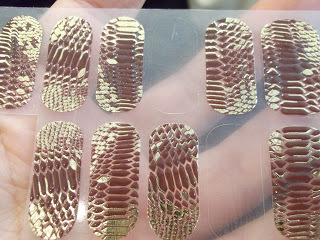 Each sheet is embossed with powder so you can press or rub it onto your face to get some colour. And, they really do work! The downside I would say is that it’s hard to be as accurate as you might want to be – I haven’t tried using a brush across the paper because the whole point is that you have a pack a little bit bigger than a credit card that you can just shove in your purse for emergency touch ups. 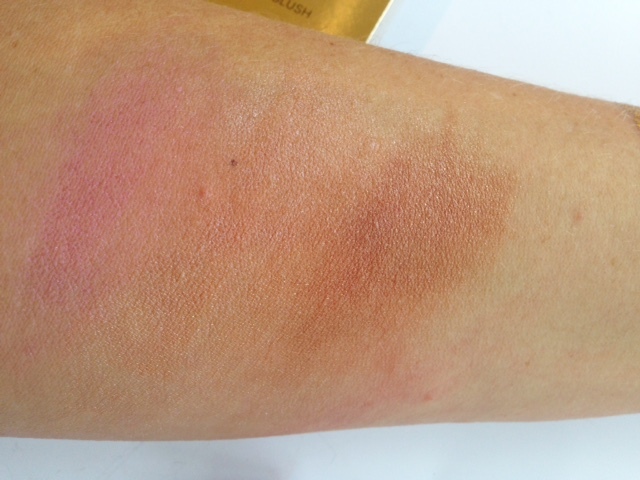 I’m not sure I’d brave the bronzer all over my face as it was the one that didn’t come out terribly evenly. The best sheet is the blush – a really sweet, suit-all pink. 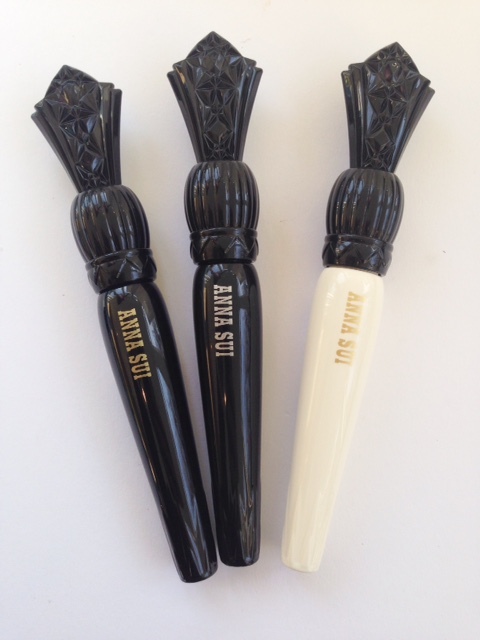 But, for a fun, beauty novelty, maybe for a stocking filler, I think it’s a cute idea. There are actually several variants of the papers, including one with blush sheets only – there’s even a foundation sheet set! 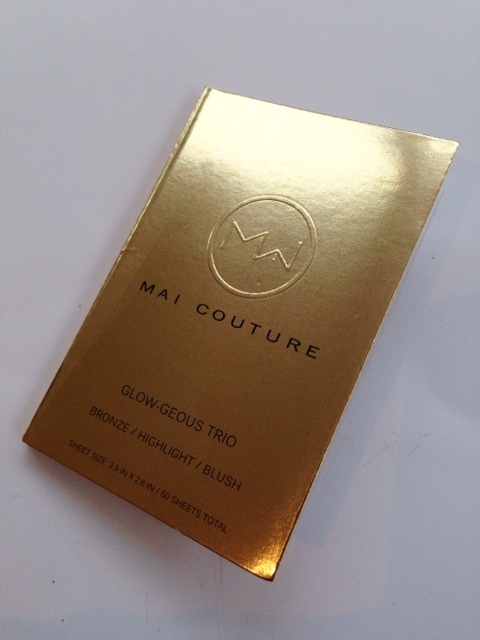 They’re all HERE and the Mai Couture Glow-Geous Trio is £12.50.